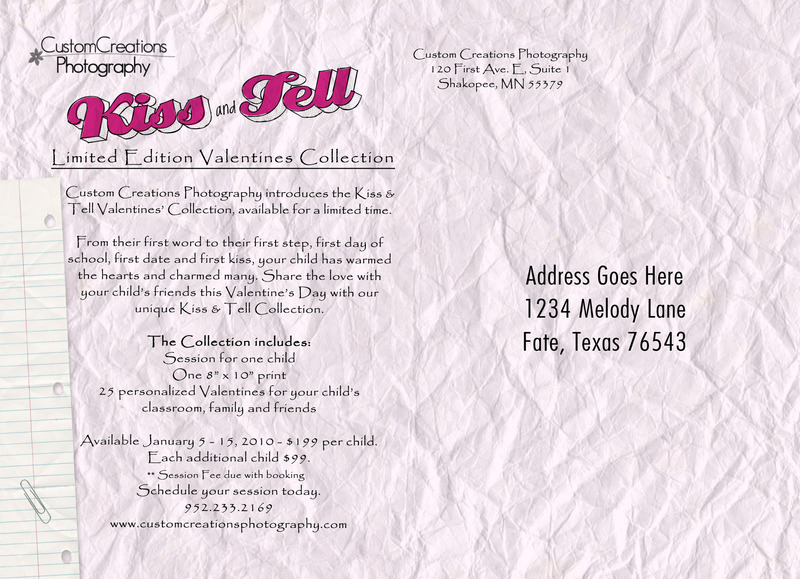 This year we are introducing our Kiss & Tell limited edition Valentine’s Collection!! We want to make sure you get in early enough to have Valentine’s Day cards to give to your friends and family!! This is a really great special! 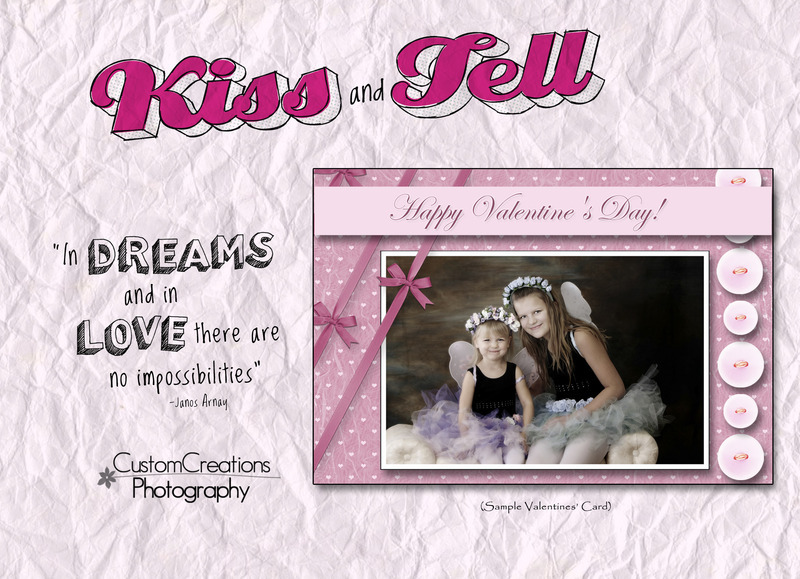 For only $199 you will recieve a session (one child), 1 8×10 portrait, and 25 custom designed Valentine’s Day cards!! ($99 each additional child). This collection is available January 5-15th so you will want to call TODAY to get your reservation! (session fee is due at time of booking). We can’t wait to see you in the new year!!! Posted in Uncategorized | Comments Off on Limited Edition Valentine’s Collection! !